Right, and if the timing isn't in your favor, you can always go downstairs and catch the airport link to the skytrain sukhumvit line, get off at the Ekkamai bts station and take the bus from there. No taxis. No tolls. If you don't have a lot of luggage, this is a cheap and easy way to go straight to Patts from the airport. I flew into BKK last year on Emirates Buz class from LHR . Hostess at check-in in LHR told me to go to the concierge desk and schedule my ride in BKK to my hotel. Wasn't expecting that also was waiting outside to take me back to airport 3 days later. Flying in end of January on ANA ,trying prem Econ. will be my first time in Pattaya. looking forward to all the sights and sounds of this little village. I agree that Nam's taxi service is good. I have used her service several times both ways between the airport and Pattaya. She has never let me down and I have found her cars to be clean and in good condition, and her drivers to be safe and reliable. I used Nam's service from the Hideaway to the airport - smooth ride - will use from airport next time as well. I've used Nams taxis for the last 3 years and have never had a problem. Always on time, clean well maintained cars and great lady drivers. Simply the best. Me and my mate badly let down by Mr T in November at the Airport, no drivers to be found for either of us, we got another Taxi together. Then Mr T had the cheek to email me asking where I was and the driver had been waiting for me. I had one take me to the airport yesterday. Grrwtvtrip. Felt very safe, fantastic car. 1200 all in. Won’t use anyone else. They always confirm and they’ve never been late. i used toms taxi service recently, found them good and reliable. 1000 baht each way, airport pattaya/return. 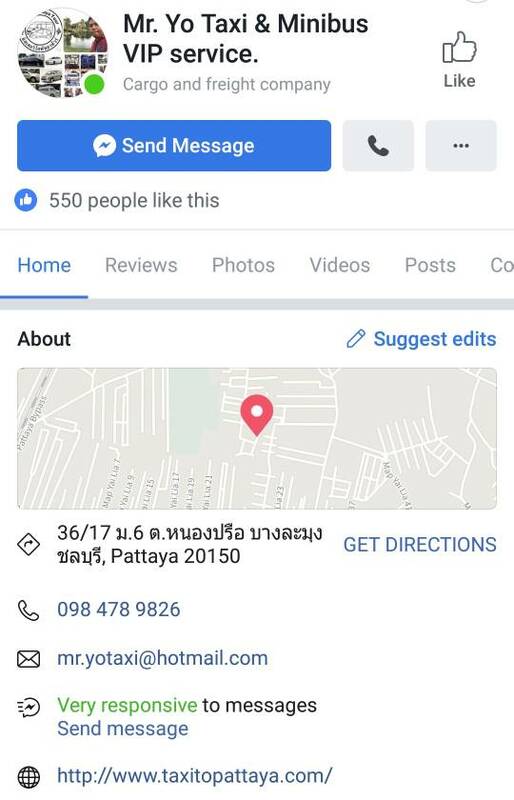 For the past couple of years always used Mr Yo taxi service to get down to Patts when I’m in a rush, once I added them on Line, he asked me to send them the GPS location of where I lived (easily done from in Line) and they found me easily from there. Whenever I’ve booked, they nearly always turn up at mine *early*, decent new fleet of cars with calm drivers, sometimes female too. 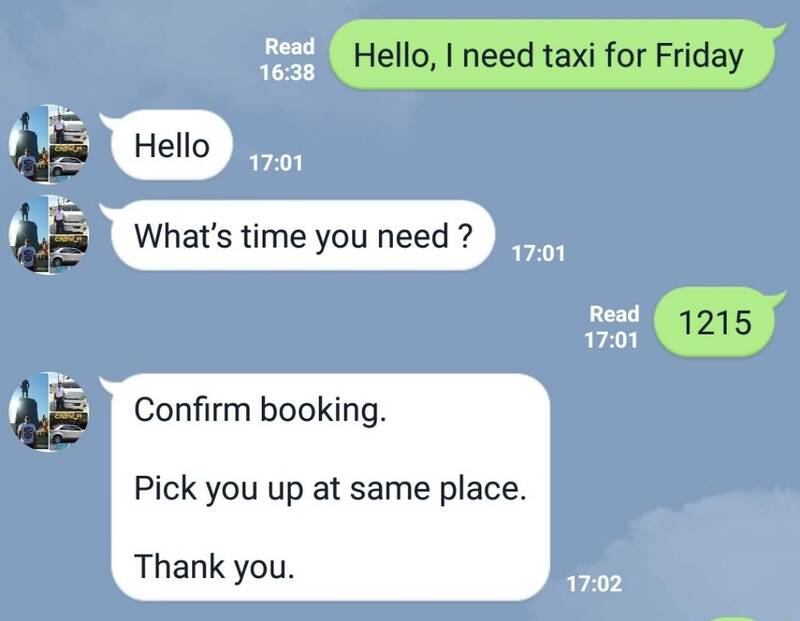 When I need to book them up again, usually just a couple of messages on Line and job done. I have used Pinit for years,he has never let me down. He is an older guy ,steady driver and good english. Airport to pattaya -1000 baht but i give him more. Funny how we all have had different experiences, I have used Mr T for years and never had an issue with them turning up I always tell the driver at the start of the journey not to drive like a "nutter" as I was in no rush and he would get no tip seems to have worked so far.